COLOR WATCH: A DASH OF ORANGE IN THE BEDROOM! WINE COUNTRY LIVING – ROOMS WITH VINEYARD VIEWS! RANDOM STUFF I AM LIKING RIGHT NOW 12.22.09! DELIGHTFUL DECOR FOR CHRISTMAS IN NEW ORLEANS – PART 4! DELIGHTFUL DECOR FOR CHRISTMAS IN NEW ORLEANS – PART 1! TILE FILE: A PEBBLE MOSAIC TILE FLOOR ROCKS IN A POSH ENTRYWAY! I’M ALL DECKED OUT IN THE HOLLYWOOD HILLS – MY OUTDOOR LIVING ROOM BEFORE THE MAKEOVER! 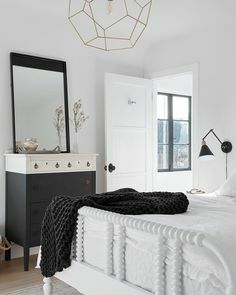 COLOR WATCH: WINTER WHITE ROOMS! DELIGHTFUL DECOR FOR CHRISTMAS IN NEW ORLEANS – PART 3! A MOUNTAIN LAKE COUNTRY HOUSE & LONG BARN MAKE FOR A MAGNIFICENT WINTER RETREAT! DESIGN ON SALE DAILY: A MODERN DUAL FUNCTION SIDE TABLE! A HOMEMADE FLOWER ARRANGEMENT – MY “THANK YOU FOR HOLIDAY GOOD WISHES”! DESIGN ON SALE DAILY: A GREY VELVET SOFA! DELIGHTFUL DECOR FOR CHRISTMAS IN NEW ORLEANS – PART 5 – THE WEDDING CAKE HOUSE! DELIGHTFUL DECOR FOR CHRISTMAS IN NEW ORLEANS – PART 2! CHEAP TO CHIC: WOOD AND WINE BARREL CHANDELIERS! SMART DESIGN: GOOD STYLE SLIDES INTO PERFECT FUNCTION WITH INTERIOR BARN DOORS!